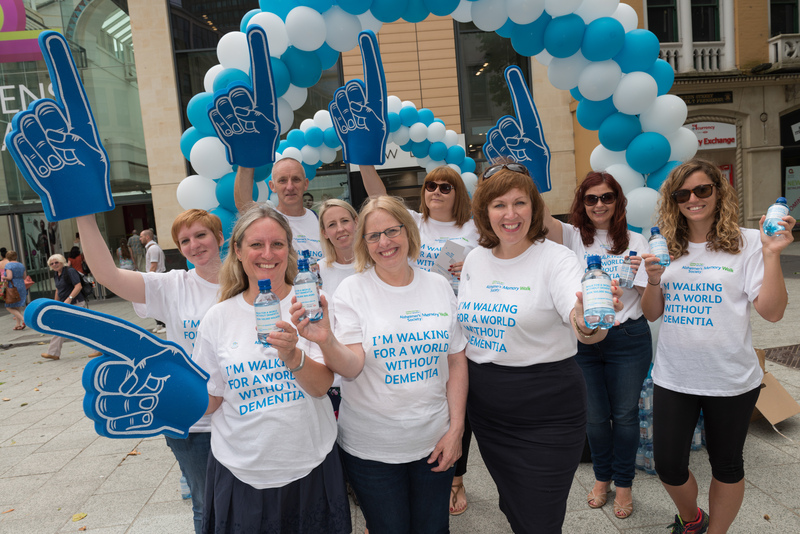 Mum of three Linda Smith – diagnosed with dementia aged 57 – has launched Alzheimer’s Society’s Cardiff Memory Walk. Three thousand people took part in Cardiff Memory Walk last year – and the charity hopes even more will now sign up at memorywalk.org.uk. “I started forgetting things like leaving the tap on or remembering to look properly when crossing the road,” she said. “Walking down the street I started to feel as if someone was following me – which is frightening – but looked back to find no-one there. She hopes huge numbers of people will take part in Cardiff Memory Walk to be held at Roald Dahl Plass on Sunday 11 September. Husband Steve (57), a former army drum and trumpet major, some years ago had to learn to walk and talk again after a brain haemorrhage. The couple have been married for 40 years and he says the family works well – even if the sugar might be in the freezer or tea have been made with cold water. Alzheimer’s Society dementia support worker, Karen Collins, said: “Often everything seems turned upside when someone has a diagnosis. “Sometimes it may feel shattering, emotional and challenging, but we are here for people to turn to when that happens. “It is not just about memory – dementia is so individual – it can impact on the ability to do simple tasks, thinking and the ability to understand,” said Karen. Memory Walkers raise money to help support almost 4,000 people living with dementia in Cardiff and for research into treatment and eventual cure. Alzheimer’s Society provides a wide range of services in Cardiff including volunteer visits, Singing for the Brain music sessions, as well as dementia support workers directly helping carers and people with dementia. For Memory Walk 2016, Alzheimer’s Society is walking and working with HSBC in the fight against dementia. From the money raised, £650 would pay for a brain scan to help diagnosis, £100 would allow someone with dementia to attend ten Singing for the Brain sessions, £20 would cover a month’s attendance at an Alzheimer’s Society’s Dementia Café. Frontotemporal dementia is caused when nerve cells in the frontal and/or temporal lobes of the brain die and the pathways that connect them change. There is also some loss of important chemical messengers. Over time, the brain tissue in the frontal and temporal lobes shrinks. Frontotemporal dementia is most often diagnosed between the ages of 45 and 65, but it can also affect younger or older people.